I shut the door after putting several bags of groceries into the back of the van. I commented to my wife that the coupon served exactly its intended purpose. The look on her face signaled I was going to have to explain myself. The night before, my wife had seen an ad on the Facebook page of a local grocery store for a twelve pack of soda for $1.99, regular price $4.38. The sale was good only for one day. Unlike a previous time when we found an ad for cookies on their Facebook page, this time the post explicitly gave a code that we had to mention at the register to get the sale price. The coupon code requirement is actually a very shrewd business model. The percentage of people looking at newspapers, and thus newspaper ads, are steadily dropping. If retailers want to get your attention, they have to advertise where people are spending their time. With people unable to walk, drive, or ride anywhere without having their smart phone within reach, social media is where it’s at. By offering special deals that require you to use a coupon code you got from the social media site, you feel like you’ve gotten something that most people haven’t. That feeling is supported when you walk in the store and see absolutely no sign of the discounted price. I found myself almost whispering the coupon code to the cashier, as if we were in a secret club. If you find a way to get great deals, you’ll likely share that secret with your friends. They start checking the same social media channel to take advantage of the same discounts. Retailers offering great specials online and customers sharing knowledge of these deals seems great for customers. It almost seems odd that retailers would do this, until you realize why they actually offer discounts and coupons like the one my wife found on Facebook. This realization hit home for me as I loaded $55 worth of groceries into my van. Retailers don’t offer discounts and coupons to help you save money, they offer them to get you in their store. Once they get you in the doors, they hope that we will buy find a reason to pick up other items as well. Like the pizzas we purchased for dinner that night, or the chips because we were running low on snacks, or the pumpkin bars we saw in the bakery. From experience I know that trips to the grocery store in the middle of the week always result in overspending my budget for the week. 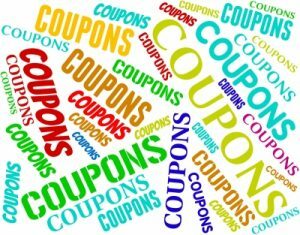 Don’t use the coupon right away : If possible keep the coupon to be used the next time you are doing a major grocery shopping trip. 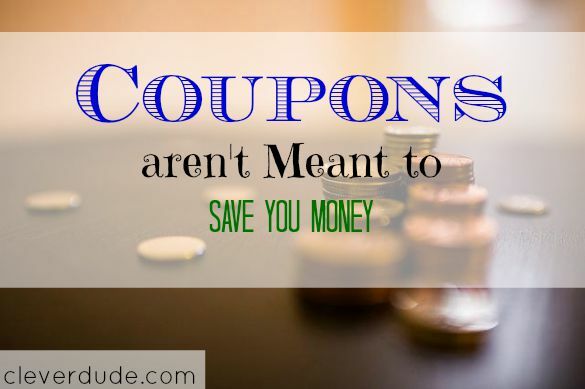 That way, the use of the coupon coincides with your usual grocery spending, and not a secondary trip. In this case, I couldn’t do that because the sale was good for only one day. They are trying extra hard to make me shop spontaneously with this sale. Put On Your Blinders : Walk directly to where the sale item is, grab it, and go directly to the checkout line. I could do this, but honestly, my wife can’t. She’s just not built that way. Don’t Buy What You Don’t Need : If you weren’t planning on buying the item anyway, it’s not saving you money. I wasn’t planning on buying more soda, and didn’t need it. But it was such a great deal, I felt like I had to take advantage of it. Had I logically thought about these three things, the right decision was to simply ignore the coupon. I wouldn’t have gotten a twelve pack of soda for $1.99, but I wouldn’t have spent over $50 on other groceries either. Has a sale or discount ever caused you to actually overspend? How much did you spend? This is very true. Coupons are meant to entice. 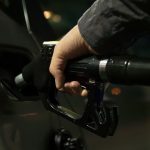 However, if you have a good strategy and don’t buy things that you don’t need as well as avoid extra purchases, you can effectively save money with their usage. My mom is one of those people who buys things because there is a sale or she has a coupon/giftcard. My response whenever a friend tells me how great of a deal they got is, you still spent X% that you may not have had or had not planned on. Sounds like the store got the better end of the bargain. As you said above, a coupon is great if it coincides with a purchase you were going to make anyway, but if not you got in the store, probably bought other things. Yes they will be used, but may not have been the best use of the money. Coupons will definitely get you in the grocery store. But online coupons are a terrible trigger for online shopping. I have to shake myself out of it, close the site and try to focus on something else. And yeah, grocery trips for us almost always involve coming away with more than expected. It’s gotten better lately, but having an ADD husband means he suddenly decide he wants something and can’t live without it. @MoneyBeagle – Very true….it takes self control and discipline, but it CAN be done!